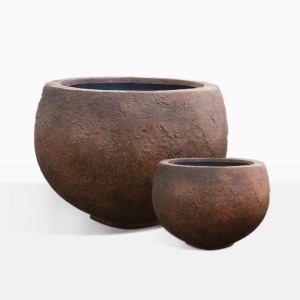 Add the finishing touches to your outdoor living space with potted these amazing rustic pots; they will make your outdoor living area complete. 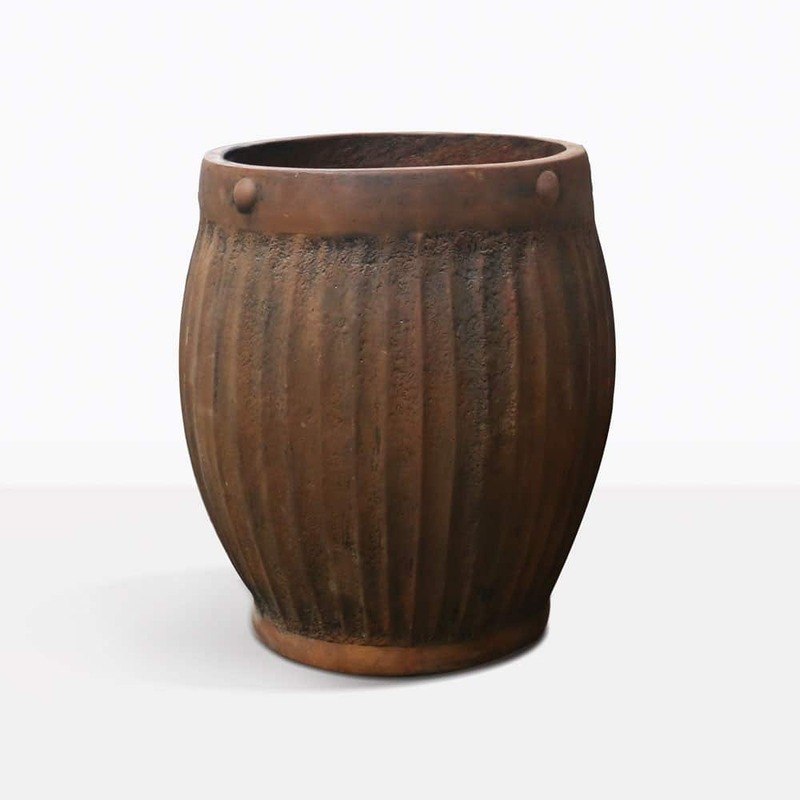 The Barrel Pots are a lovely option because of their dramatic size and small decorative detailing. They have and old romantic feel that has us daydreaming like we are visiting a grand Italian Villa with vineyards in the distance. The Barrel Pot is one of our many outdoor planters here at Design Warehouse. 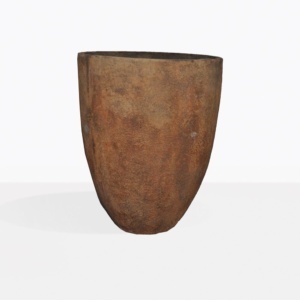 Choose from modern or rustic planters to decorate your space. We have everything you need to complete your outdoor space so you can enjoy it with friends and family.